This is a sponsored conversation written by me on behalf of Little Tikes. Over the holiday season we love to eat yummy food and spend time with family and we also love to get outdoors together and have fun getting some exercise! Last year we started a new tradition of hosting a family turkey trot on the morning of Thanksgiving! This year we are adapting our tradition a little bit to included trikes AND runners so that all family members can be included! 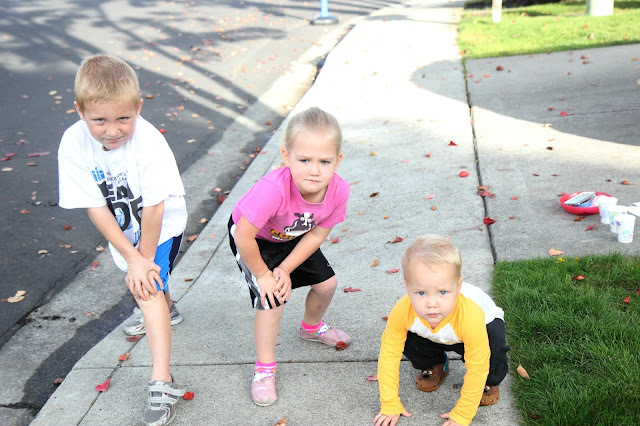 To get planning a Turkey Trot for your family first you need to gather your materials! We got ours together last week to host a practice Turkey Trike Trot in preparation for Thanksgiving! Recently Little Tikes sent us their Perfect Fit Trike to try out. The Perfect Fit Trike is a stroller, push trike, and full trike all in one. It’s a ride-on that grows with your child. As part of our Turkey Trot this year we are inviting family members to grab a trike or their jogging shoes and stroll or pedal with us around the neighborhood. Since the Perfect Fit Trike grows with kids it can be used in a lot of ways by different family members at different stages of learning! First, the parent pushes and steers. As the child grows, the parent steers while the child pedals. Once the child learns to pedal you can remove the safety bar and now they can steer. In the last stage the child pedals and steers with the push handle bar removed! You can check out how the Little Tikes Perfect Fit 4-in-1 Trike works by watching the video below. Start but cutting white paper into long strips to create the base of the turkey hats. Staple the strips together and size them to fit around your child's head or helmet. Add on a brown paper circle with tape or glue and some googly eyes and a gobbler. Cut some colorful feathers out of paper and now you are ready for the Turkey Trot! Each child gets a turkey hat with no feathers on it to get started. Then you map out a course around your neighborhood or cul-de-sac for runners and riders. Next you get the runners and riders started on their race! Each time they run or ride a lap they earn a feather. We kept the feathers in little cups and when the kids ran or rode a lap then they stopped by our feather station and picked a feather and we taped it to the hat. Kids ran or rode until their hats were full of feathers and then the turkey trot was done! My 3-year-old loved riding his new Perfect Fit Trike when we had a practice Turkey Trike Trot the other day. We are gearing up for our family Turkey Trike Trot on Thanksgiving! My daughter and I also had a lot of fun pushing my son when his little legs got tired of pedaling. While we were having fun at our Turkey Trike Trot practice I also enjoyed checking out the Perfect Fit Trike in a little more detail. The trike grows with your child! Those are just a few of the many good qualities! You can purchase your own Perfect Fit Trike at Toys R Us. 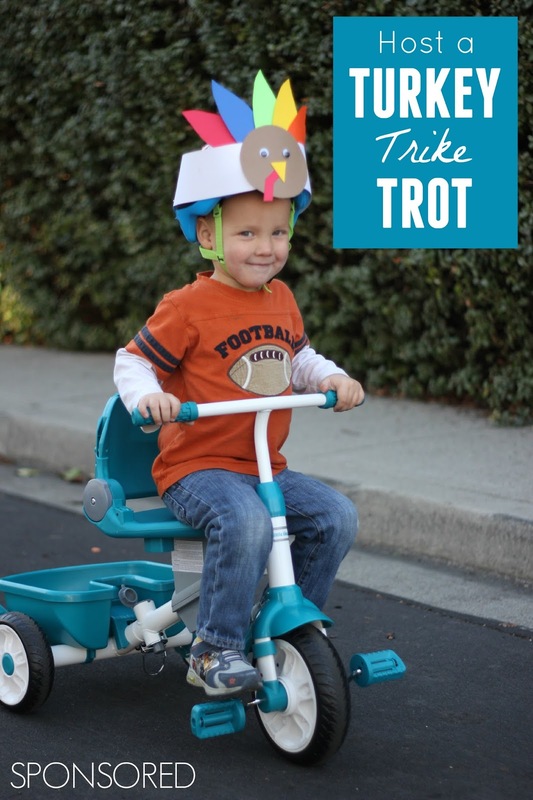 Do you think your family would enjoy hosting a Turkey Trike Trot or a regular Turkey Trot? For more details about the Perfect Fit Trike and to keep up to date on cool things at Little Tikes you can follow them on Twitter, Facebook, Pinterest, and Instagram. This is a sponsored conversation written by me on behalf of Little Tikes. The opinions and text are all mine.